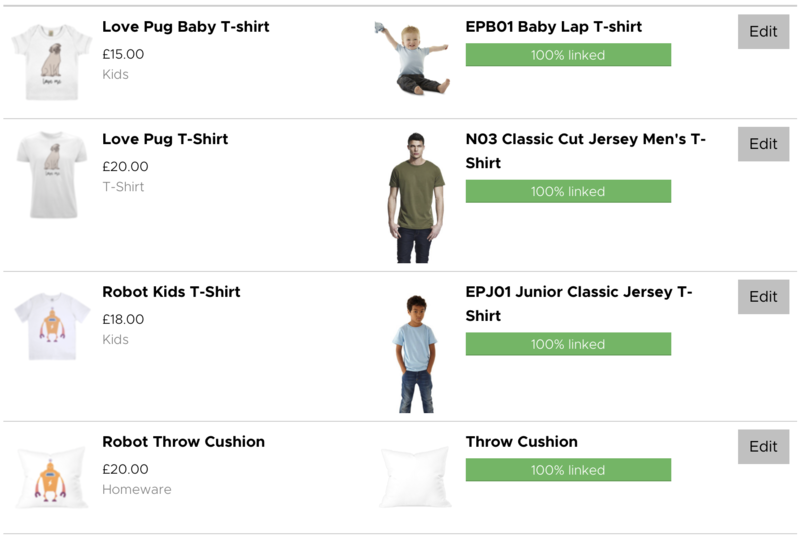 Before getting started, you'll want to make sure you've set up your brand profile to make your DTG labels accessible when amending your product links. If your brand profile is set up, head to your WooCommerce integration page and click Manage WooCommerce product. You'll arrive at the WooCommerce product manager interface. You'll likely be very familiar with this page by now. It's where you linked your WooCommerce products to their Inkthreadable equivalents. We're going to add a DTG label to the Love Pug N03 t-shirt. Down the Inkthreadable Product column, you see the variables you used previously to link this product between your WooCommerce store and Inkthreadable account. 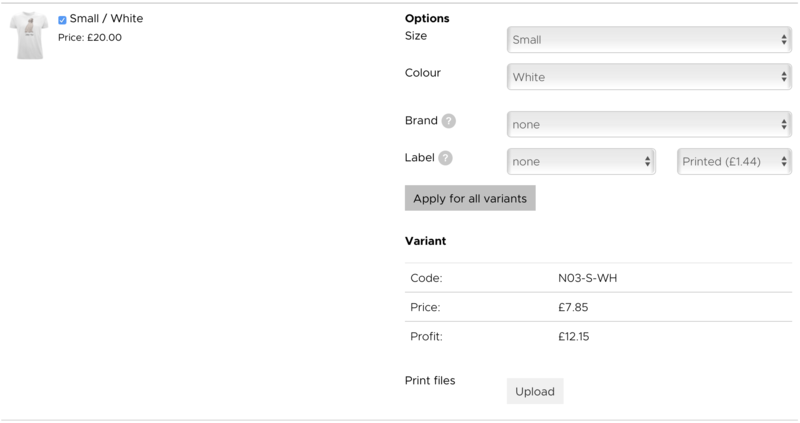 This is where you'll find the option to add your DTG printed label. The options you're looking for are Brand and Label. Once you've finished adding your labels to your WooCommerce products, click the Save button.